In Messiah’s name: for those with eyes to see and ears to hear. 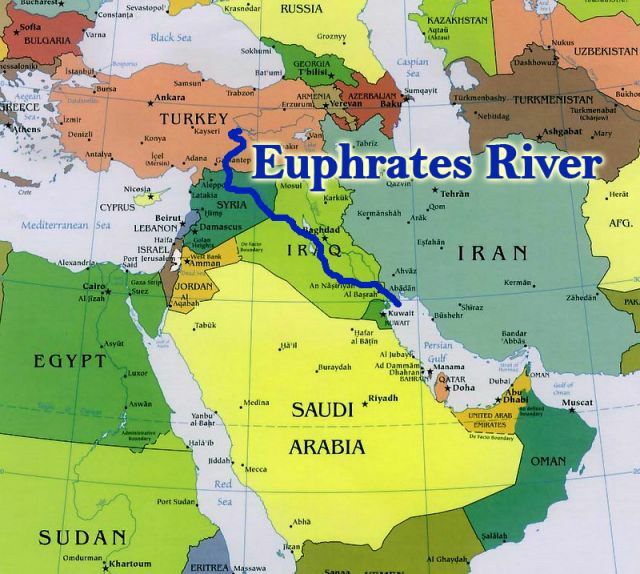 The Euphrates River figures prominently in today’s conflict in Syria and Middle East. 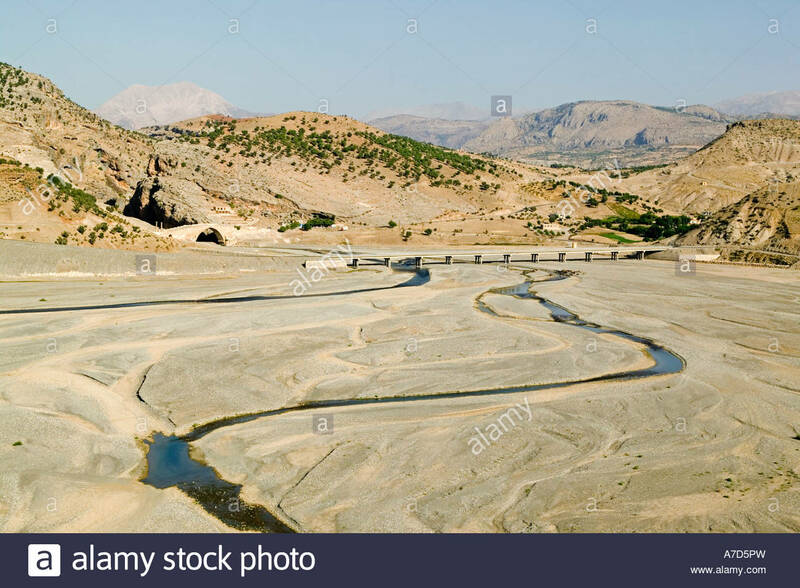 We are in end time events and the Bible shows that the Euphrates is “drying up” as prophesied and as the above picture indicates. If you examine the maps above you will note that the Euphrates River (blue line) runs through Turkey, Syria and Iraq. To the east of the Euphrates lies Iran, Russia, China, and India. These are likely the “Kings of the East” which will cross over the “dried up” Euphrates to “kill a third of mankind”. 13 Then the sixth angel sounded: And I heard a voice from the four horns of the golden altar which is before God, 14 saying to the sixth angel who had the trumpet, “Release the four angels who are bound at the great river Euphrates.” 15 So the four angels, who had been prepared for the hour and day and month and year, were released to kill a third of mankind. 16 Now the number of the army of the horsemen was two hundred million; I heard the number of them. The above is describing WW 3 in which billions of humans will die, as an army of 200 million comes from the east and crosses to the west of the Euphrates River and destroys one-third of the earth’s population. Obey and pray that you will be fit and worthy to be among the “elect” – those who keep the commandments, statutes (holy days, etc) and judgments of the great I AM, the Creator-God through his son, Messiah. All honor, glory and praise to the great I AM, the Creator-God through his son, Messiah. Peace, blessings and protection to all those who love the truth and hate the lies and deceptions. This entry was posted in News and politics, Organizations and tagged describes ww 3, Euphrates dried up, Prophecy Kings of the East, Revelation chpt 16 and Matt 24. Bookmark the permalink.